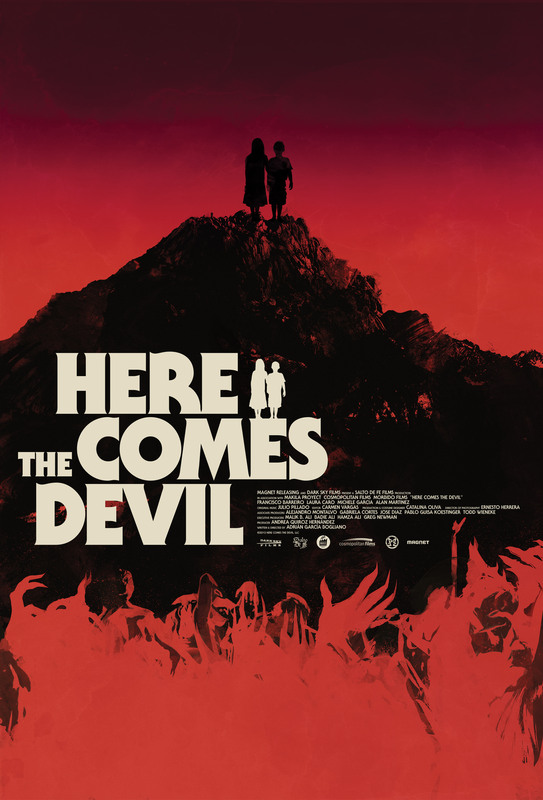 In the tradition of Hammer, Grand Guignol and the master of Italian horror Dario Argento,comes this Spanish tale of a family ripped apart by a strange encounter with a hill. Mood and soundscape is the key to the horror here; the use of sound to provoke fear in the audience is very effective. This is eerie at its best. There are plenty of quick zoom shots that at first seem a little kitsch and outdated but after a while add to the unsettling nature of the story. There is one scene with an excessive use of stage blood (Argento homage) but otherwise this is predominantly an exercise in atmosfear. A mother and father allow their kids to go up a hill while they stay in the car and what happens next is not for the faint of heart. The mother and father jump to a conclusion and are consumed by the need for revenge. Revenge is the best medicine if your preferred medicine of choice is poison. It’ll get you in the end. If the stories have taught us anything it’s that it’ll eat you up and you will equally be punished. Here Come the Devil plays on your fears as the devil is wont to do and takes you on a journey you’re unlikely to forget. The last shot is so disturbing in its ordinariness. Evil takes its roots where it can, amongst the weak and easily influenced.